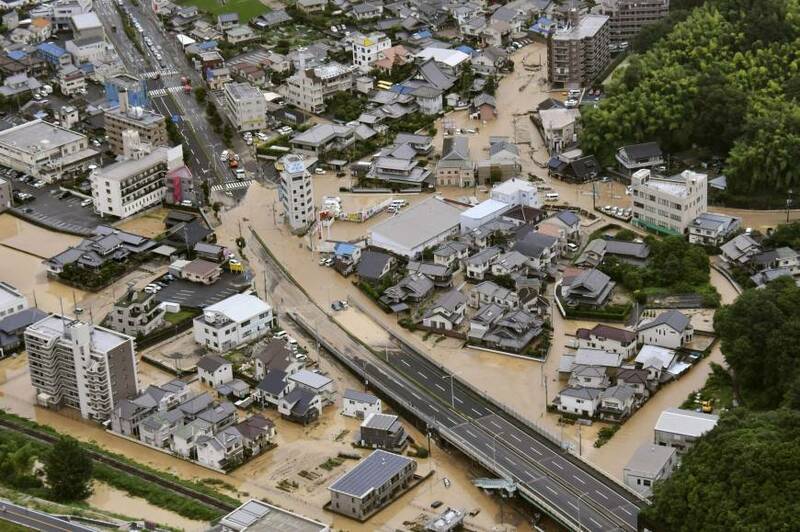 Sciency Thoughts: Fifteen known deaths as floods and landslides hit Japan. Fifteen known deaths as floods and landslides hit Japan. Fifteen people are known to have died around 50 are missing and over 210 000 more have been forced to evacuate their homes as a series of landslides and floods swept across southwestern Japan this week. 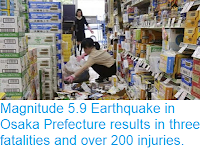 At least one person has died in a landslide in Okayama Prefecture, on southwestern Honshū Island, while in neighbouring Hiroshima Prefecture two people have died, one due to another landslide and the second a child caught in a flood, while five people are still missing after their hose collapsed. In Hyogo Prefecture three construction workers were swept down a storm drain by flooding, though two of these were pulled out alive. In Kyoto Prefecture a 52-year-old woman is reported to have died, though details of this incident have not yet been released. In Ehime Prefecture on Shikoku Island, a woman has been found dead after her house was hit by a landslide. Evacuation orders are in place for parts of Ibari, Osaka, Kobe, and Gifu prefectures. 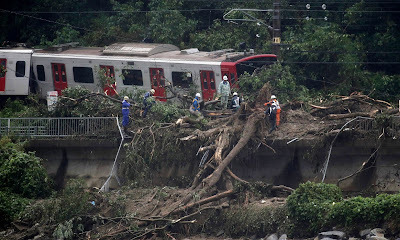 A train derailed by a landslide in Saga Prefecture, Japan, earlier this week. STR/AFP/Getty Image. Many areas of east and south Asia have been hit by exceptional rainfall this year, leading to a string of fatalities in flood and landslide events. Until now Japan has been relatively unaffected, but this week, Typhoon Prapiroon, which passed through the sea of Japan earlier this braining high rainfall with it, with as much as 400 mm of rain falling in a single day in some areas. Landslides are a common problem after severe weather events, as excess pore water pressure can overcome cohesion in soil and sediments, allowing them to flow like liquids. Approximately 90% of all landslides are caused by heavy rainfall. 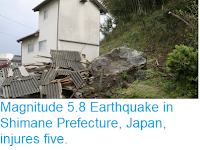 Parts of Japan are currently considered to be at a higher risk of landslides due to a Magnitude 6.1 Earthquake in Kobe Prefecture last month, which weekend both man-made and geological structures in the region. 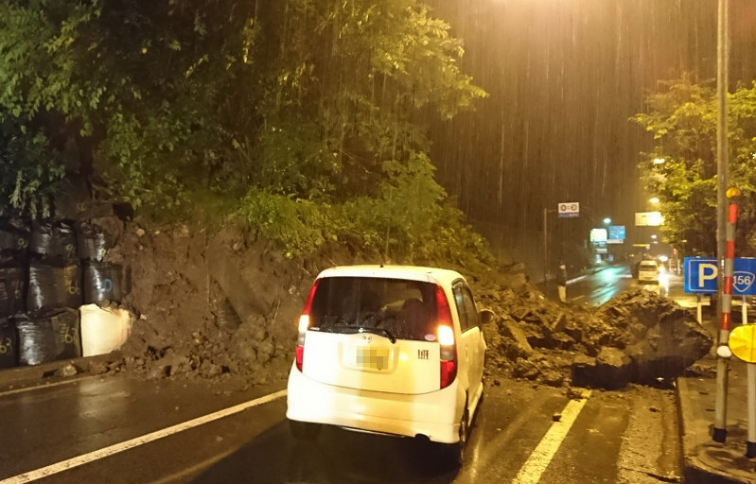 Road blocked by a landslide in Gifu Prefecture, Japan, on 4 July 2018. 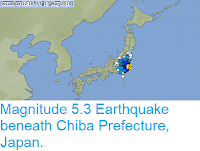 Gifu Prefectural Government. Tropical storms (called Typhoons in the West Pacific and Indian Oceans) are caused by solar energy heating the air above the oceans, which causes the air to rise leading to an inrush of air. 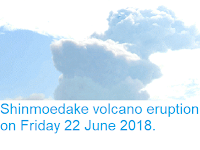 If this happens over a large enough area the in rushing air will start to circulate, as the rotation of the Earth causes the winds closer to the equator to move eastwards compared to those further away (the Coriolis Effect). This leads to tropical storms rotating clockwise in the southern hemisphere and anticlockwise in the northern hemisphere.These storms tend to grow in strength as they move across the ocean and lose it as they pass over land (this is not completely true: many tropical storms peter out without reaching land due to wider atmospheric patterns), since the land tends to absorb solar energy while the sea reflects it. Floodwaters in Hiroshima City on Saturday 7 July 2018. 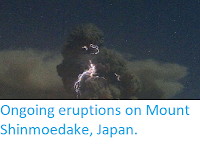 Kyodo News. The low pressure above tropical storms causes water to rise there by ~1 cm for every millibar drop in pressure, leading to a storm surge that can overwhelm low-lying coastal areas, while at the same time the heat leads to high levels of evaporation from the sea - and subsequently high levels of rainfall. This can cause additional flooding on land, as well as landslides.